Knees and elbows planted on the stone floor, head down, a young man’s attention is focused on a small square of paper where he draws or perhaps makes notes. Found in the lower left corner of Cornelis de Man’s 1664 painting of the interior of St Lawrence Church in Rotterdam (detail below), the man is just one element in a buzzing 17th century Dutch social scene. Centuries before museums became known as “cathedrals of culture”, churches and cathedrals were culture hubs. In the 21st century, museums like the Detroit Institute of Arts (DIA), are evolving from the concept of the “public square” in de Man’s church nave, and contemporary “public squares” like The British Museum’s Great Court, to become intimate and convivial public “living rooms”. 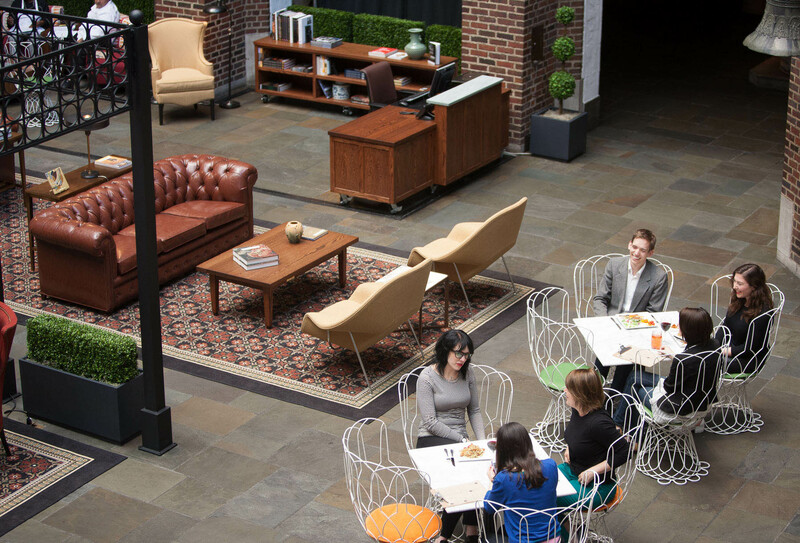 The recent makeover of DIA’s Kresge Court includes carpets to ground focal groups of chairs and sofas with the idea visitors will sit down and stay awhile. Modelled on the medieval Palazzo del Bargello in Florence, the interior walls of DIA’s Kresge Court reflect four periods of architecture, 15th-century Italy, 16th-century Germany, 17th-century Flanders and Netherlands, and 14th-century European Gothic architecture. Originally an open air courtyard, the space was given a glass roof in 1961. 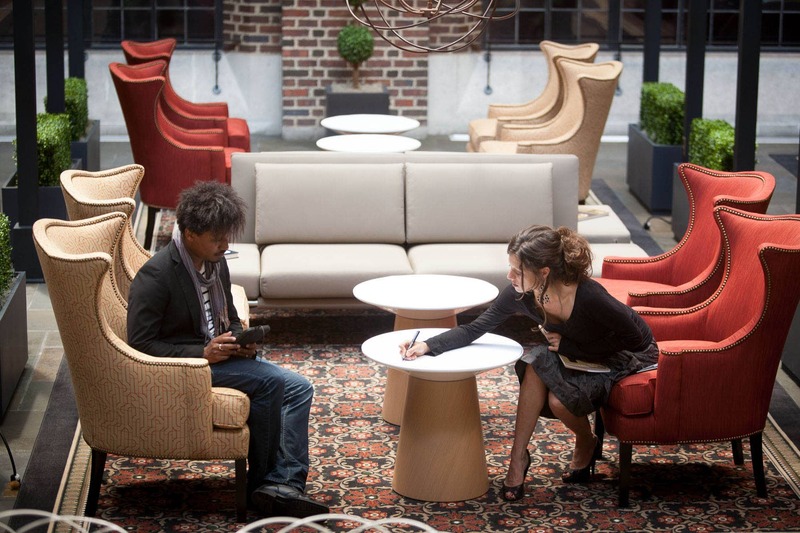 Not only is DIA an early adopter of the cozy public space trend (similar to ideas realised by Makkink & Bey for cozy reception areas – see the Summer 2013 issue of COVER), but DIA is tapping into a wider trend in urban spaces. Qatar’s Msheireb in Doha is a 76 acre mixed use development centred on Al Barahat Square. The square represents the concept of the majlis – or “living room”. 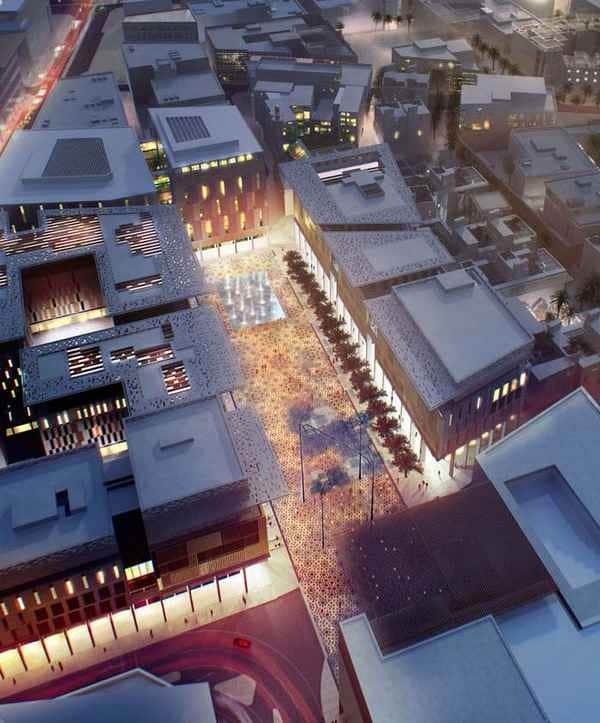 The square’s “floor” will be “carpeted” in gold paving to reflect the warmth of a traditional Qatari interior. Kresge Court’s new interior design is eclectic, and includes new “oriental” carpets mixed with editions of Eero Saarinen’s 1948 Womb Chair, Patricia Urquiola’s recent ’50s inspired powder-coated steel Re-Trouvé Chair, as well as a few English pub classics – leather Chesterfield sofas and wing chairs. So although Kresge Court is likely to be teetotal during public hours, we say “chin chin!” – here’s to a new generation of convivial public space.